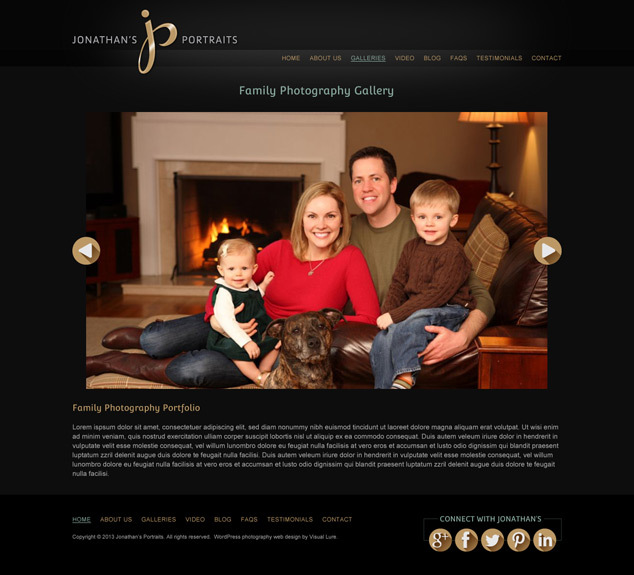 Jonathan’s Portraits came to Visual Lure for a complete branding overhaul, including: logo design, a fully-custom search engine optimized WordPress website and some additional graphic design work. 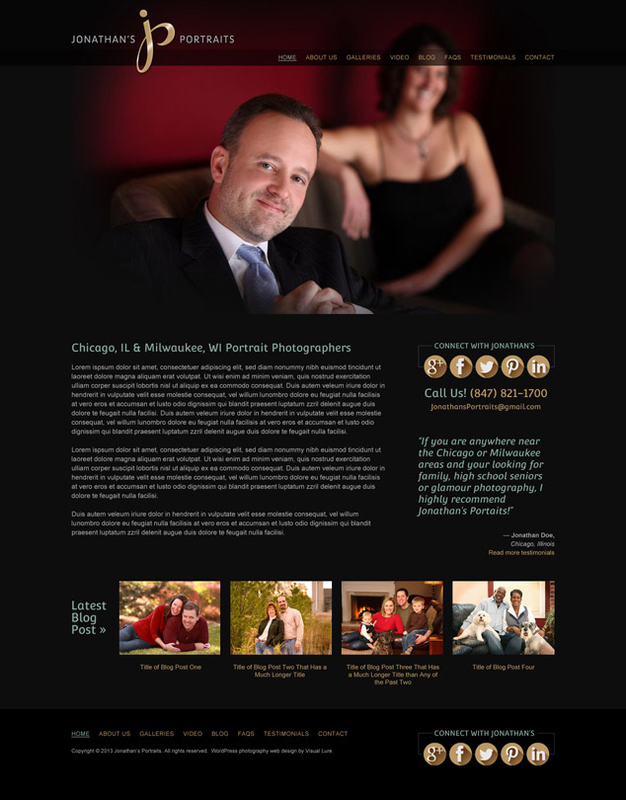 They are a Chicago, IL and Milwaukee, WI based photography studio specializing in family photography, high school seniors and glamour photography. 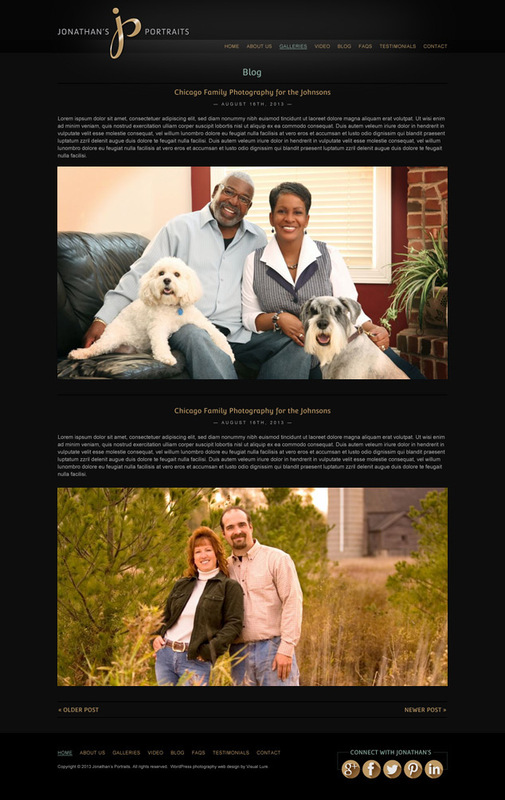 The new website has been setup and will be launching very soon. Below are some of the initial logo design options we provided along with the final logos. The final logo design features a monogram where the letter J morphs into the letter P. Underneath the logos, are some of the main pages in the new WordPress website. We will update this blog post when the new website goes live.